Small Elephant likes water . . . but not when it’s in a bath. Small Elephant’s mommy tries to make the bath more fun with toys and bubbles, but he is not fooled. He is too busy to take a bath. He has said no many times. He is getting very cross. But Small Elephant’s daddy has a way to make the bath fun. He may look silly doing it—but it just might work! With spare text and sprightly illustrations, Tatyana Feeney, three-time author of gently funny books for the youngest readers, takes on another very important toddler topic—bathtime! Small Elephant doesn't like bath time. He wants to play with his toys instead. Even when Mommy Elephant tries to offer him toys to play in the bathtub, he says "no!" and refuses to get in the water. 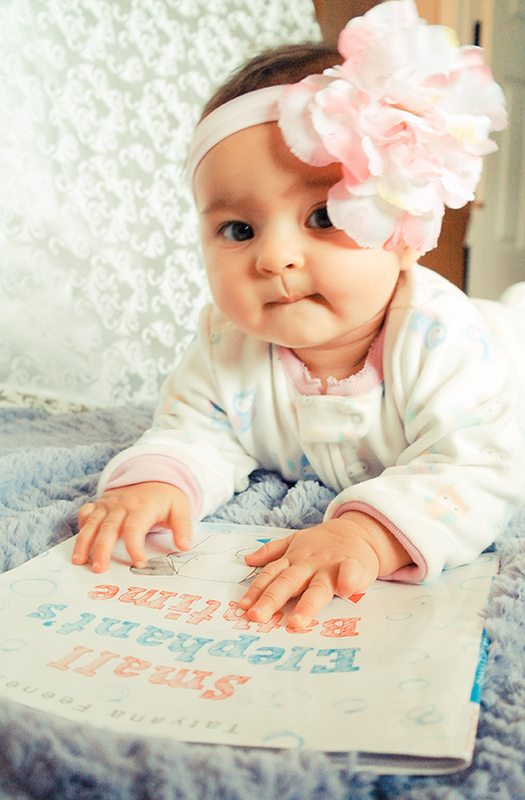 The more she pleads, the more the little one gets madder and madder and MADDER! It isn't until Daddy Elephant comes around and gets in the tiny bathtub himself that Small Elephant - seeing how funny Daddy looks barely fitting into the tiny tub - decides to take a bath. Now that he got in, though, Mommy Elephant has a new problem - Small Elephant loves it so much, he doesn't want to come out! 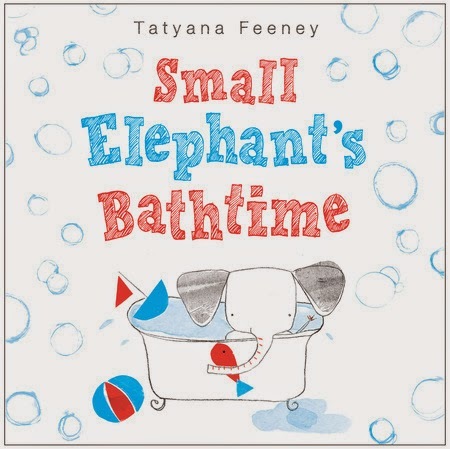 Small Elephant's Bathtime, just like the other three of Tatyana Feeney's picture books, is really quite brilliant in its simplicity. The pencil drawings are very basic - they're blue and red themed and they almost look like something a 6-8 year old kid would draw with crayons. The text is in bold red and it really pops out. 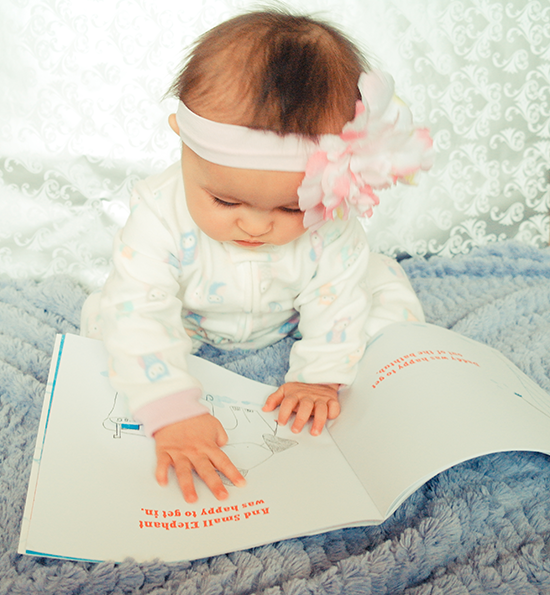 All that makes this picture book perfectly suitable for even the youngest children, and even the ones who don't need convincing to take a bath. I guess the point of the story is that when it comes to children, no amount of pleading and convincing will make them do something they don't want to do. So instead, we should try to be smart and find a way to gently stir them towards the right decision - whether by taking the lead and showing them how to do it, or by using humor and inviting them to play along. I really enjoyed this simple, but clever picture book and will be reading it to my daughter for sure.